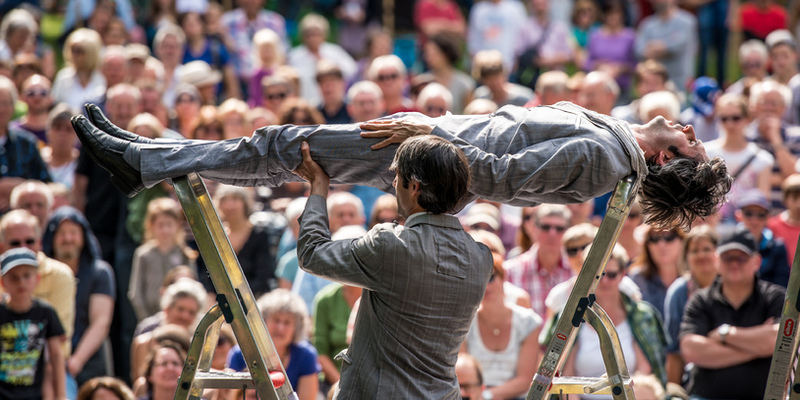 There are no curtains to go up or down on these performances – the street is the stage for "La Strada’s" artists. When La Strada is in town, Bremen’s public areas become performances spaces, its street corners, theatres, and passers-by, audience members. 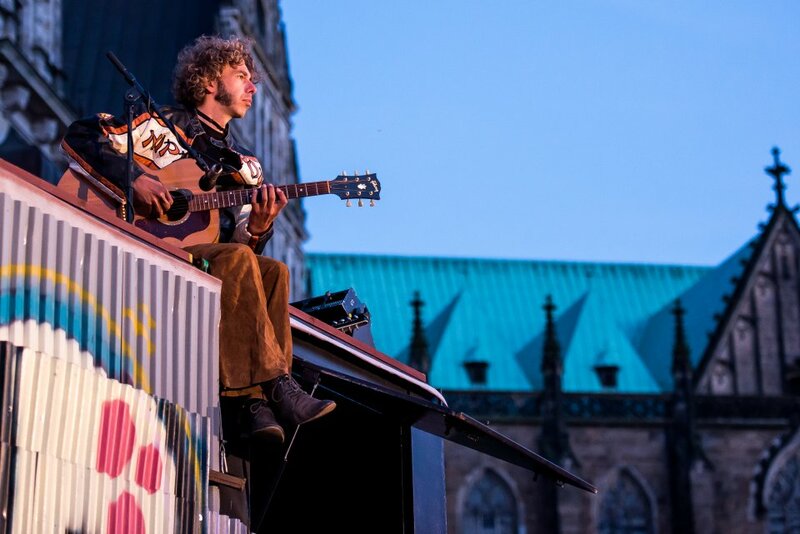 Every year in the summer, the street-art festival La Strada puts on a breath-taking show in the public spaces of Bremen. And the whole thing is free of charge. For three fun-filled days, onlookers can experience theatre, dance, and acrobatics up-close in a way seldom otherwise possible. The Marktplatz, Domshof, and Wallanlage are transformed into performance spaces for various artists. The popularity of the festival has grown every year since its introduction in 1994. Now around 100,000 people come to enjoy the fascinating shows. From extravagant productions and light entertainment to exciting theatrical acts, La Strada offers a varied programme for young and old. Around 120 shows by 20 troupes from 11 different countries await the public. But in these performances, someone in the public can start out as an audience member and end up as part of the show! In addition to the day programme, the La Strada Gala Shows present performances on stage in the evenings.